You pack a healthy lunch for your family to take to work or school… but what about the way you wrap up that delicious sandwich? The American Academy of Pediatrics recently released guidelines on food additives that had some strong things to say about food packaging. Specifically, they recommend avoiding pre-packaged foods in the grocery store, with special concern about plastics. Plastics in “food contact materials” may release chemicals into the food. Some of these chemicals are “endocrine disrupters” that can affect children’s development. BPA is of particular concern. This class of chemicals is forbidden in Europe, and most experts agree that it is not safe for kids. The AAP also recommends avoiding plastic food containers at home. If you must use plastics, avoid putting them in the microwave or the dishwasher. We tried out a number of different methods of prepping food for the lunchbox. Here’s our tasty tuna sandwich. Here it is wrapped in . Glad specifically says that this wrap is BPA-free and microwave safe. Experts tell us that neither Cling Wrap nor plastic sandwich bags can be washed well enough for re-use, so it’s not the greenest choice. 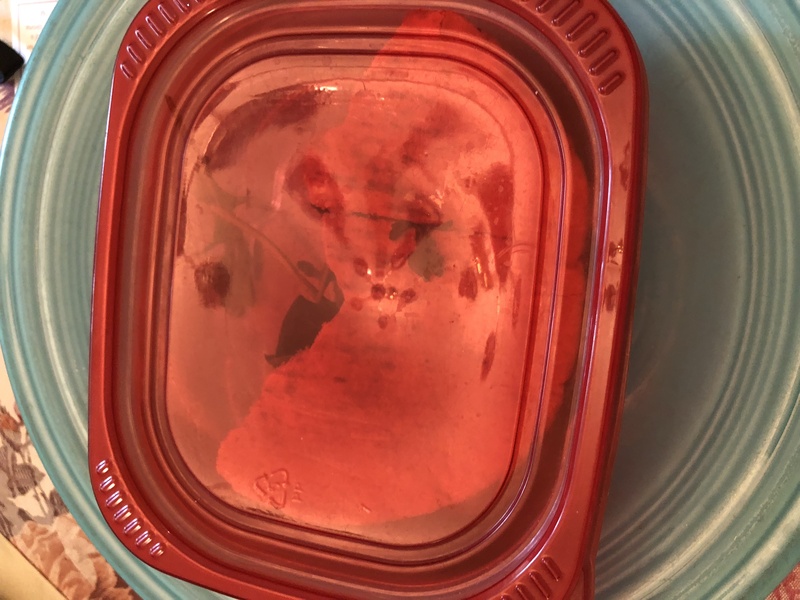 A reusable plastic container is better for the environment, and we found that it keeps the sandwich from getting squished. It’s important to make sure your choice of containers is . True confessions, though — we have reused boxes like these from grocery store lunch meats, and we’ve put them in the dishwasher and the microwave, too. We know better now. But we also know that the AAP says to avoid all plastic. It’s not just BPA that we have to think about. A new option is the . These definitely get points for coolness. 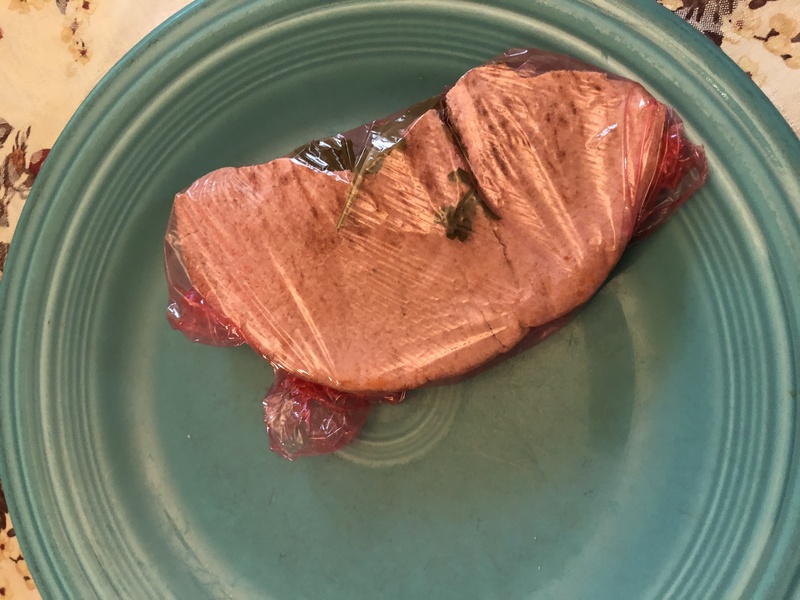 It’s easy to wrap a sandwich in this wrapper, it smells nice, and it makes us happy to have such a pretty wrapper in the lunchbox.The warmth of your hands lets you mold these to a dish or other shape, if you don’t want to make a simple packet like the one we made. Then, as the wrapper cools again, it stretches to create a strong seal. The natural antibacterial properties help to keep your food safe, too. We found these easy to clean (you must hand wash) and they last a long time. When you finally need to replace them, they’re compostable. This charming food bag comes in a set of three. 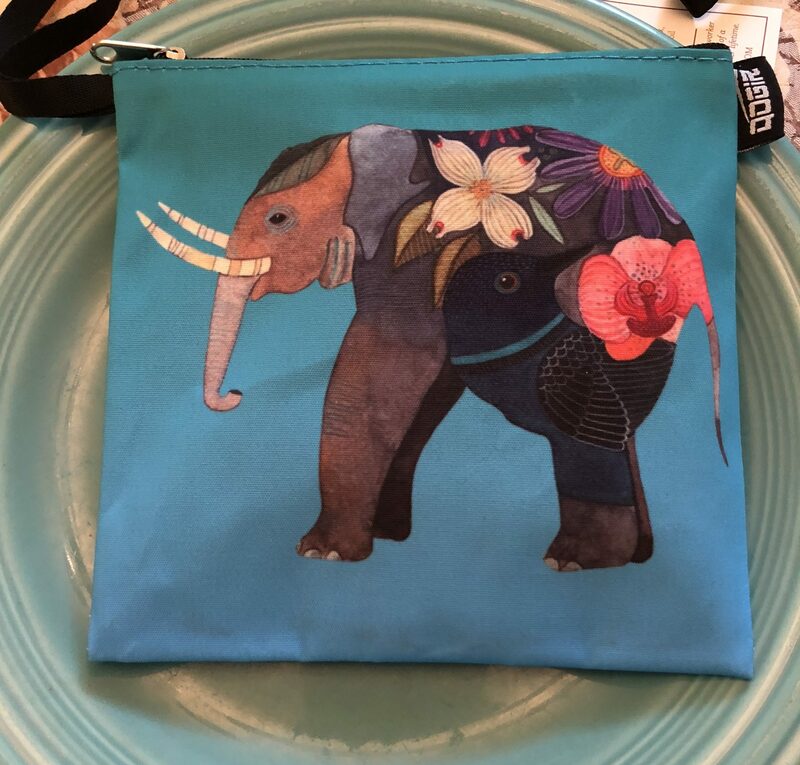 The makers say, “QOGIR snack bags are non-toxic, phthalate-free(DINP,DIDP,DnHP),PVC-free,lead-free and BPA-free; no heavy metals and food safe fabric,” and they’ll send you the test results to prove it. The bags are dishwasher safe and have a lifetime guarantee. There are different designs, so each family member can have his or her own set. 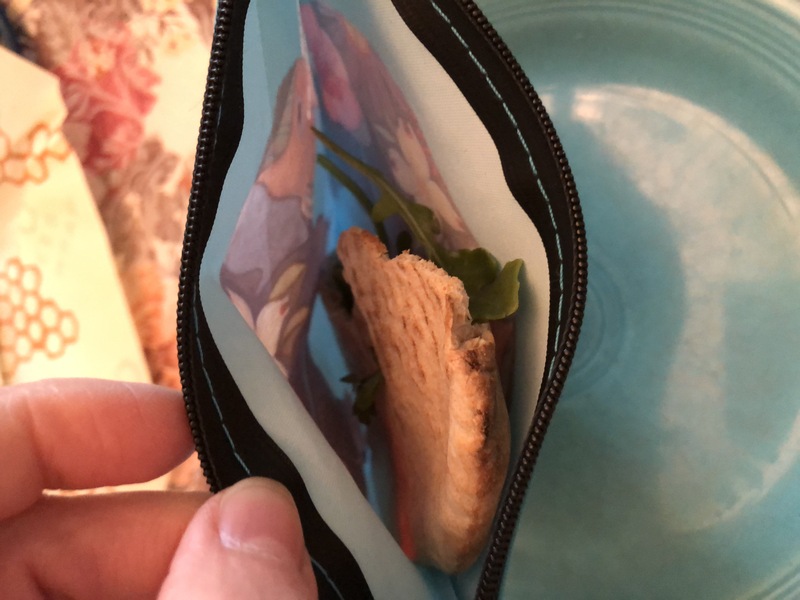 We just tucked our sandwich in the right-sized bag. You can use the other bags for fresh fruit or vegetables, salad, or even a cookie or two. It’s hard to imagine an easier way to carry foods. They don’t provide protection from squashing, but they get extra points for style. 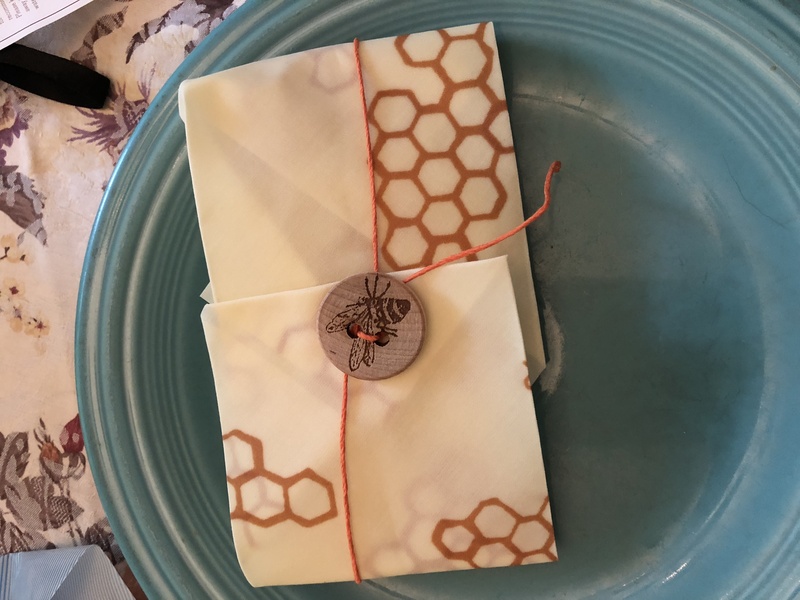 are similar to the beeswax wraps, but are beeswax free. They come in attractive patterns and multiple sizes and work just as well. They have an expected life span of two years and are recyclable. They’re food-grade plastic and easy to use. with lids are our favorites for home use. 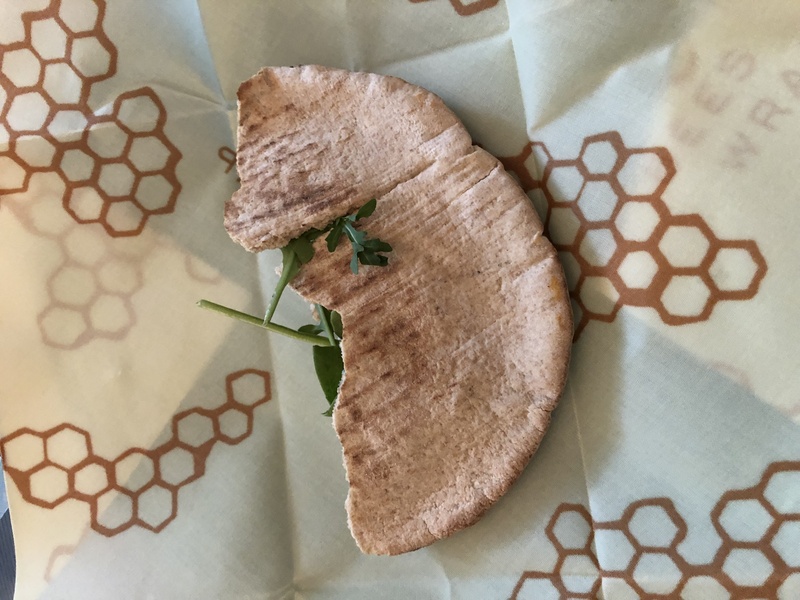 We use them for adult and older kids’ lunches, too. We’ve never had one break, but we don’t send them in young kids’ lunch boxes because we have vivid imaginations. say they’re safe for microwave and dishwasher. They’re fantastic for carrying a full meal, as well as for food storage. We’ve been using these for years and they’re still doing their job, so they get top marks for reusability and environmental responsibility. Balancing cost, safety, and sustainability can be a challenge, but one of these options should work for you. It’s definitely time to think twice about disposable sandwich bags and scrounged containers!